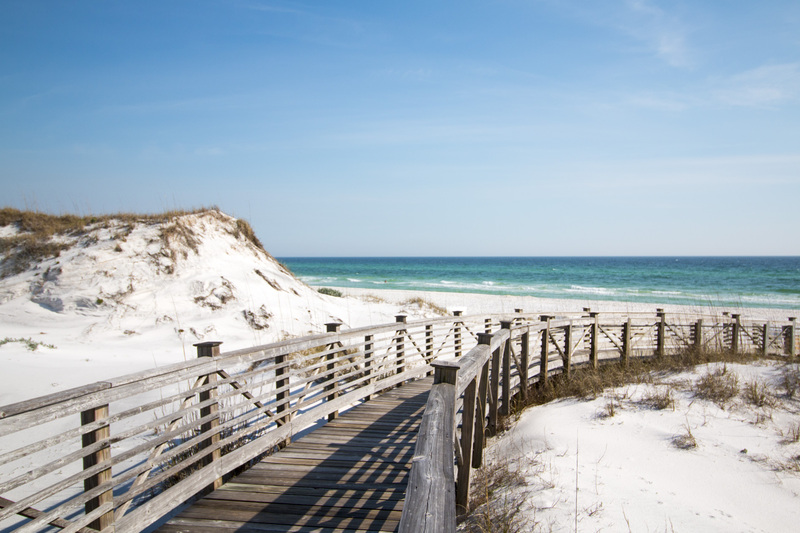 Summer is in full swing here in South Walton and that means there is something to do every moment of every day. We scoured the town to find out what’s going on in the neighborhoods of SoWal. In The Village of Baytowne Wharf, you’ll find five nights of family friendly events every Sunday-Thursday. On Sundays, enjoy a movie under the stars in the Events Plaza at 8pm. On Mondays, watch the Hydroflight flyboard shows over the Baytowne Lagoon at 7:00, 8:00 and 9:00 p.m. Tuesdays bring booming fun (Booming Tuesdays) with lawn games and inflatables followed by fireworks at 9:15 p.m. Wednesday Nights offer the Concert Series with regional and local talent on the Events Plaza Stage from 7:00-9:00 p.m. Don’t miss Magical Thursday, which rounds out the family fun as there are two magic shows with the lovable pirate Captain Davy at 7:00 and 8:00 p.m.
To celebrate the 4th of July, it’s Red, White and Baytowne on the Events Plaza Lawn from 6:00-9:00 p.m. There is live music and kid’s activities, as well as music by Soul Track Mind on the Plaza Stage starting at 7:00 p.m., followed by patriotic fireworks at 9:15 p.m.
Seaside never disappoints! Stroll the Seaside Farmers Market every Tuesday and Saturday for local produce, baked goods, cooking demonstrations and native plants. Stories by the Sea entertain children and others Monday through Friday at 4:00 p.m., where The REP actors tell one of a kind stories. It’s time to jam out at the Summer Concert Series in the Seaside Amphitheater every Wednesday with top regional musical acts. Don’t forget your blankets or chairs. Every Friday is movie night in Seaside, where you can catch great family at 8:00 p.m. in the Seaside Amphitheater. Rosemary Beach welcomes the public to their 4th of July Celebration. The day starts with a Bike Decoration Contest and Breakfast at 7:30 a.m. in North Barrett Square, followed by the Bike Parade throughout the Town Center at 8:30 a.m. Next, it’s off to the Western Green and an old-fashioned family field day. There will be sack races, water balloon toss, games, prizes and more. To end the day, enjoy music by The Like Totally Hep Cats on Western Green at 6:00 p.m. and fireworks on the beach at 8:45 pm. 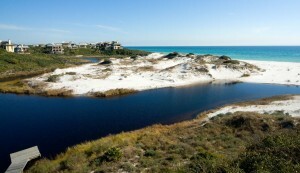 ​The Rosemary Beach Summer Concert Series is happening on Monday nights. Bring your chairs and blankets and enjoy an evening of music on the green in North Barrett Square from 7:00 – 9:00 p.m.
Grayton Beach is the site of the annual Rags 2 Riches Regatta on July 2nd in celebration of American Independence Day. The small catamaran race is a tradition among sailors, families, friends, and Grayton Beach lovers. Race registration begins at 8:00 am on the beach at the Grayton Beach access with a Captains’ meeting at 11:00 a.m. and the race beginning shortly thereafter. Gulf Place Amphitheater is the place for music every Sunday night from 6:00 p.m. to 9:00 p.m. Each week the free concert series highlights a different regional band with sounds across a range of genres. 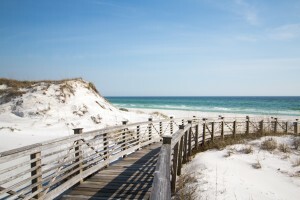 Camp Helen State Park holds a bike tour every Tuesday and Thursday morning, which starts and ends at 30Avenue at 10:00 a.m. to 11:30 a.m. You will learn about the nearby serene state park, its history, and experience the expansive beauty of a rare coastal dune lake, Lake Powell. 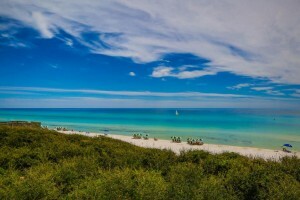 Watercolor presents the annual Easy on 30A Benefit Concert at Marina Park from 5:00 p.m. – 10:00 p.m. on July 3rd. This year, there will be a Craft Market featuring local artists and crafters. A raffle and silent auction items donated by local businesses will benefit Alaqua Animal Refuge, the Lighthouse Family Retreat, and the Muscogee Nation of Florida. 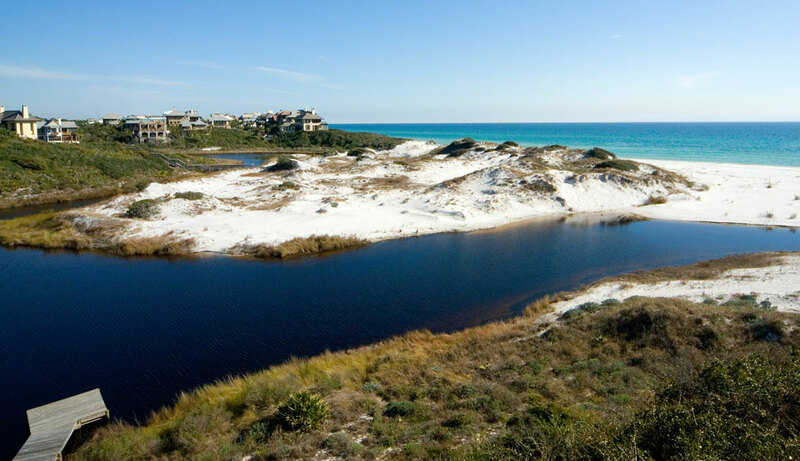 Bottom line – it’s going to be an bright and happy summer in South Walton. So load up your friends, family and blankets and chairs, and head to one of these great free events! For a full list of events, visit SoWal here.